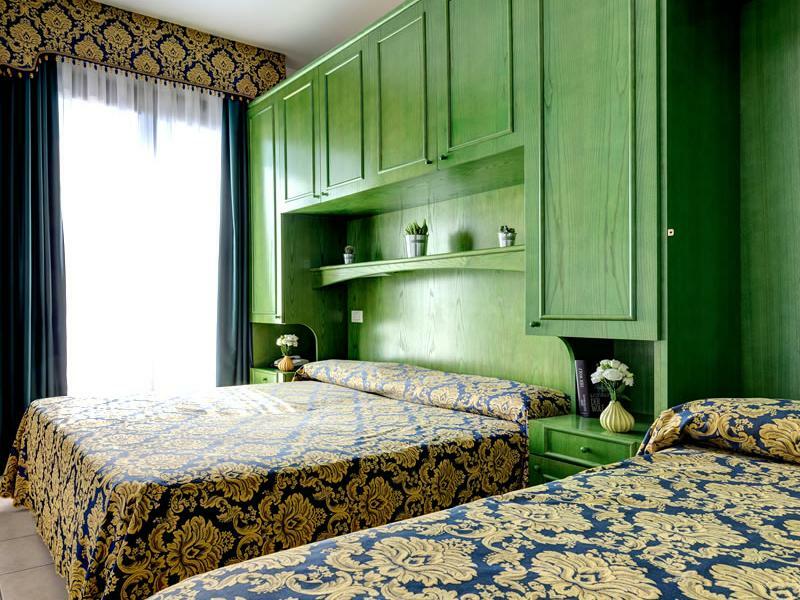 The rooms in the Hotel Garni San Carlo are decorated in 3 different colour schemes: red on the first floor, green on the second and blue on the third. 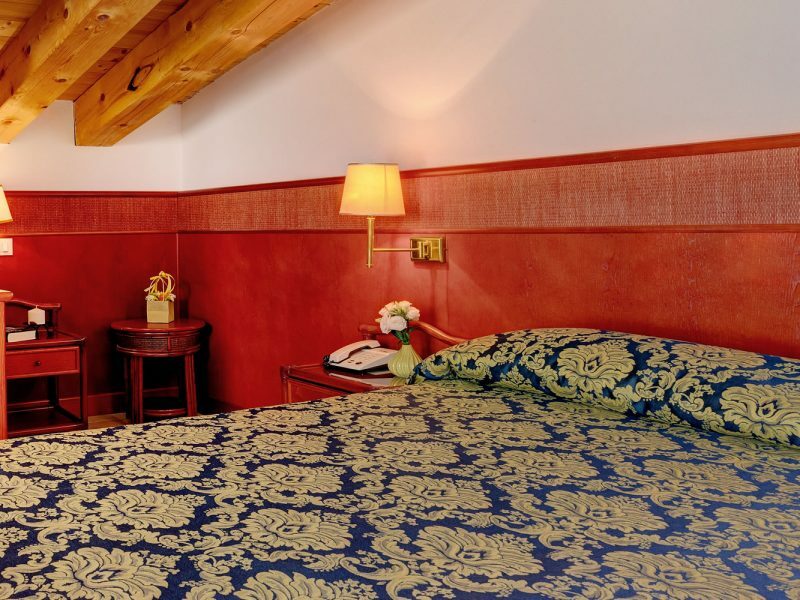 The Hotel Garnì San Carlo has a unique layout that allows for the use of a third and fourth bed if required. The rooms are all furnished with care and simplicity and equipped with satellite TV, a safe, air conditioning and heating, a minibar, Wi-Fi, a telephone, a private bathroom with shower, a hairdryer, a luggage rack and a terrace. 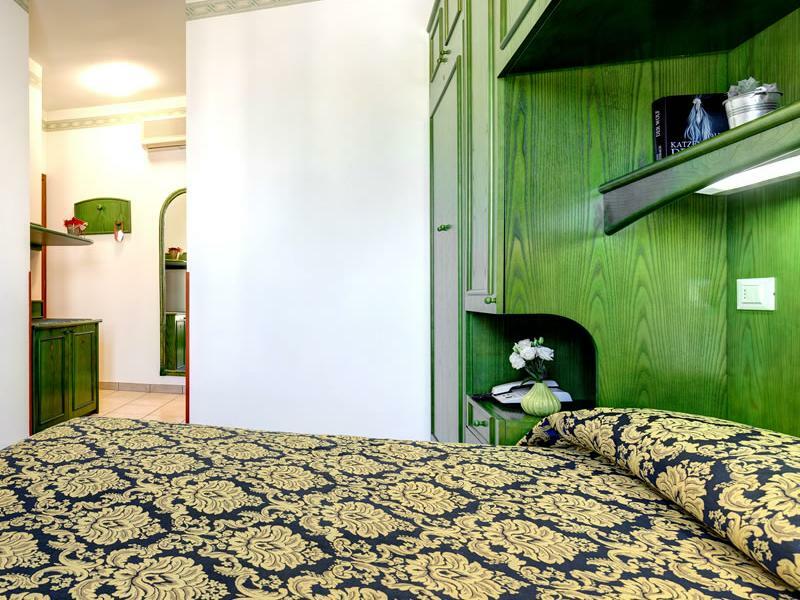 The Double Rooms at the Hotel Garni San Carlo are comfortable accommodation for two people. The warm colors, the wooden furniture, the spaces and the carefully managed details are all designed to be essential and comfortable. 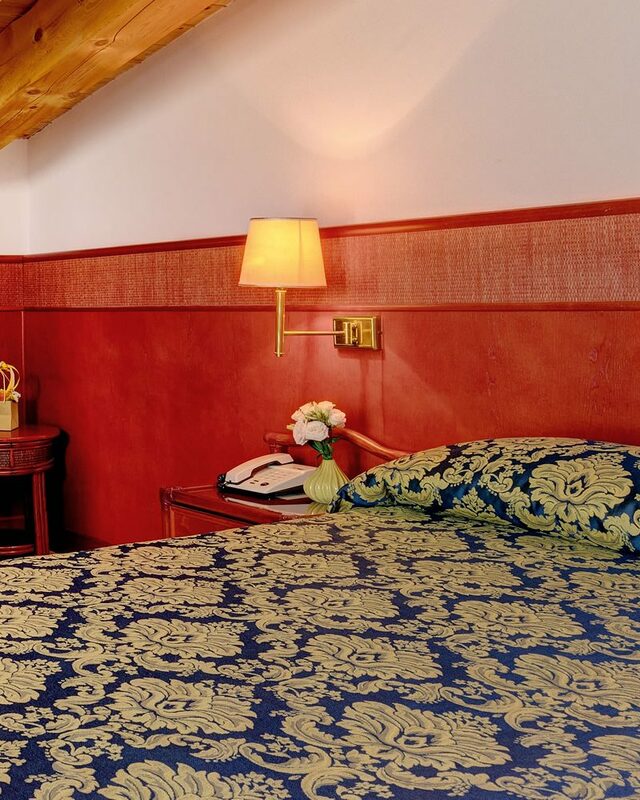 The Double Rooms of the Hotel Garni San Carlo are comfortable accommodations for two people, to whom a third bed is possible to comfortably accommodate a third person. 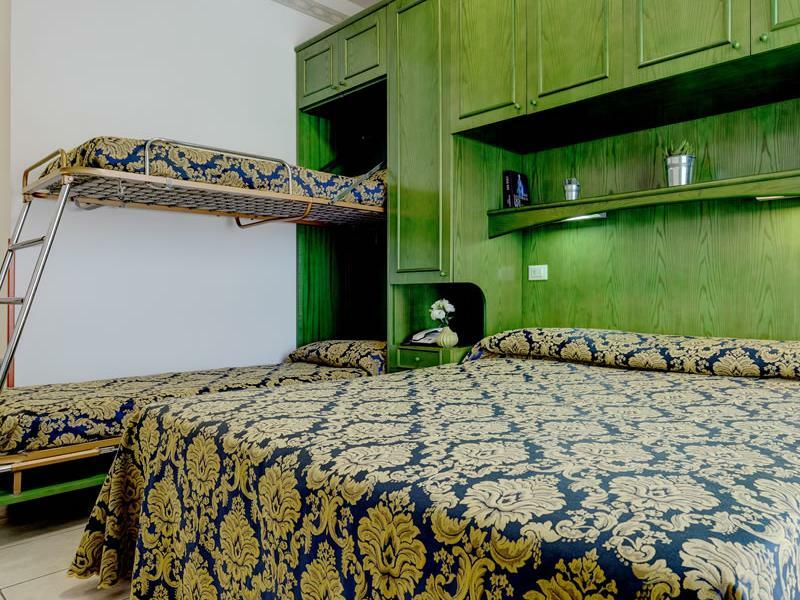 Our Double Room with bunkbed (approx. 16-18 square metres) is just as comfortable and has the same features as the others, offering the opportunity to maximise space and accommodate your whole family.